Almost everyone wants a tablet pc so don't let someone get yours for free. Keep it safe with the new RAM locking Tab-Lock tablet holder. This product is sure to make most would-be thieves think twice about trying to steal yours. 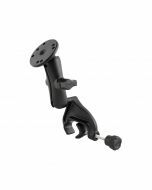 Our easy to use locking holder not only looks great and performs flawlessly, but it is compatible with RAM's full line of mounting solutions ideally suited for personal and fleet use. 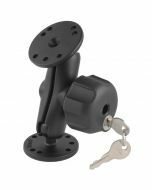 Spring loaded and form fitting, this compact yet durable holder won't take up a lot of space yet provides loads of security. With the new Tab-Lock tablet holder, RAM lets you keep your tablet where it belongs...in your possession. The "U" in the part number reflects product packaged in poly bag. 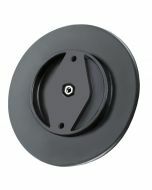 Round base adapter not included with purchase. 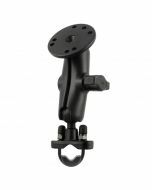 To insure your mount is "theft deterrent" proof, it is recommended that the RAM-KNOB3LU be purchased; this part attaches to the mount.